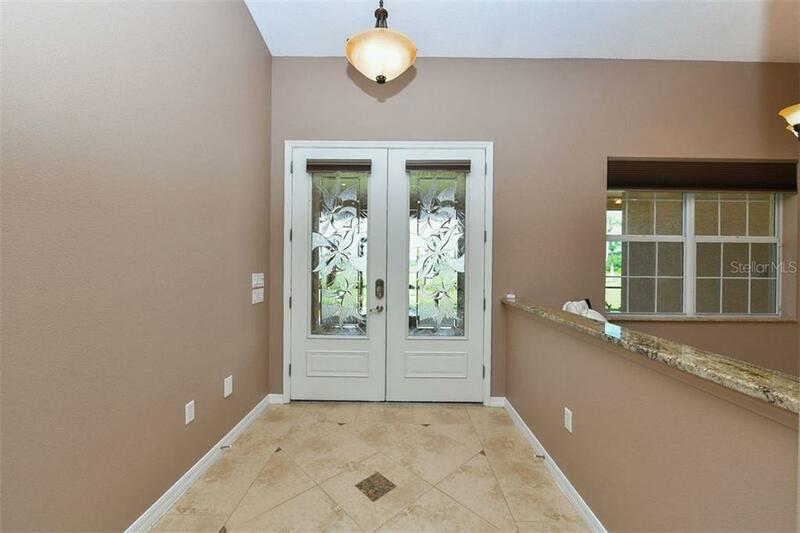 Ask a question about 9150 Deer Ct, or schedule a tour. 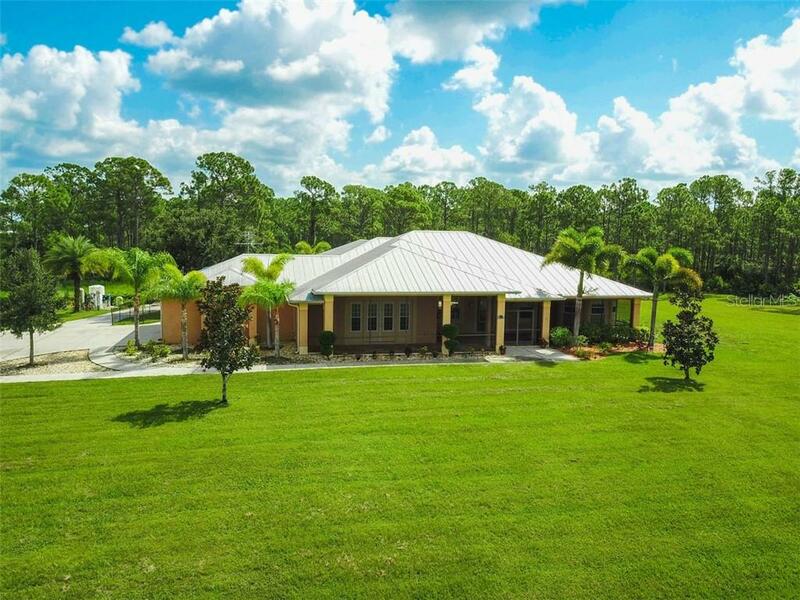 ELEGANT ESTATE HOME, QUALITY GUEST HOUSE, with LAKE and STATE FOREST VIEWS. 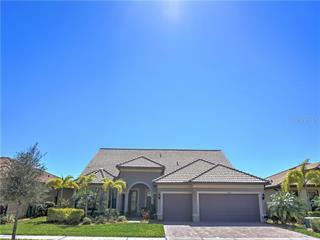 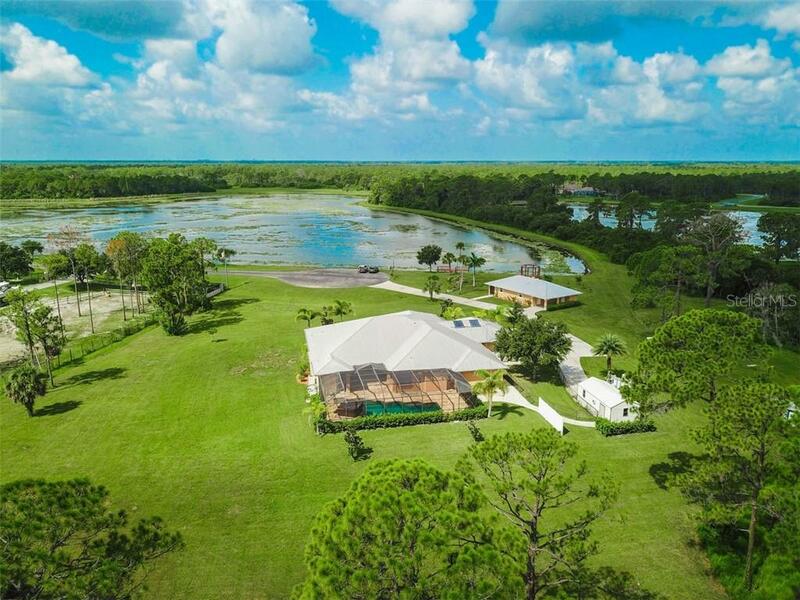 This solid constructed home is located at the end of a cul-de-sac on 3.03 acres in the gated community of Lake Geraldine. 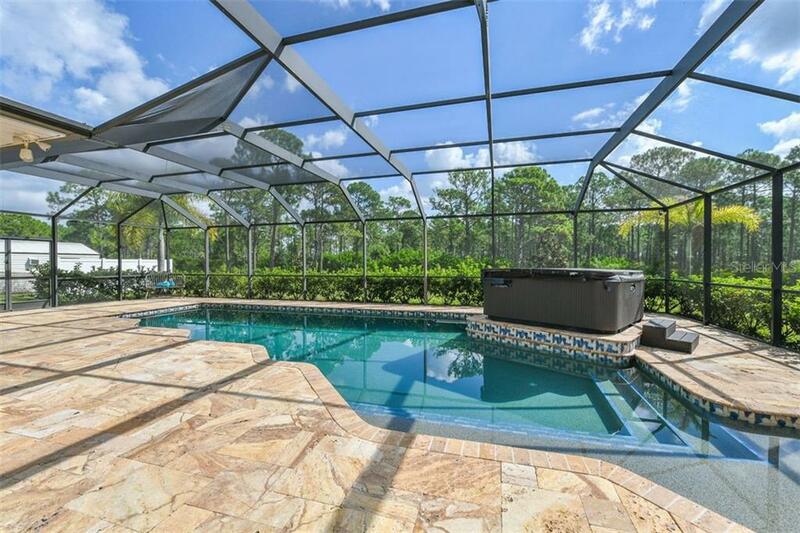 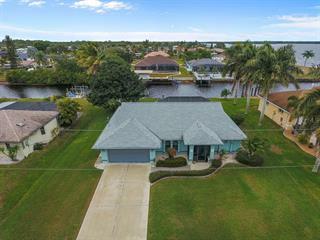 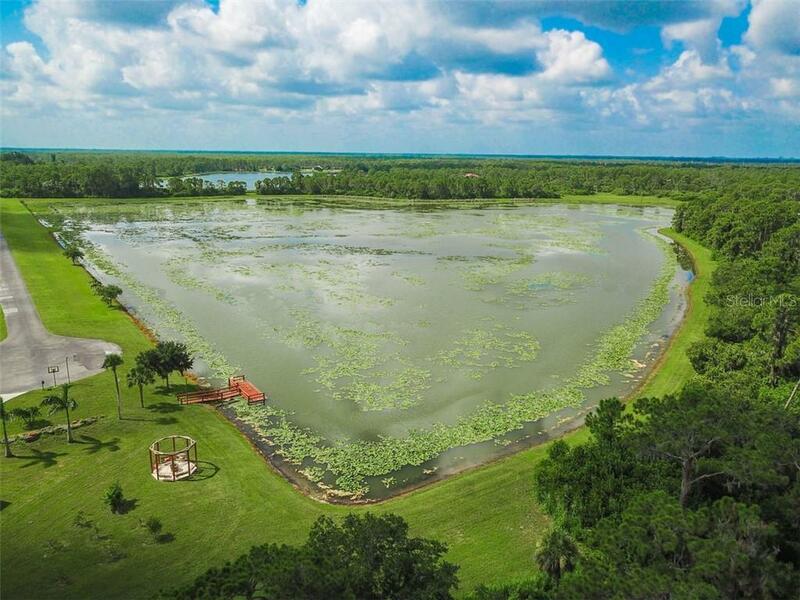 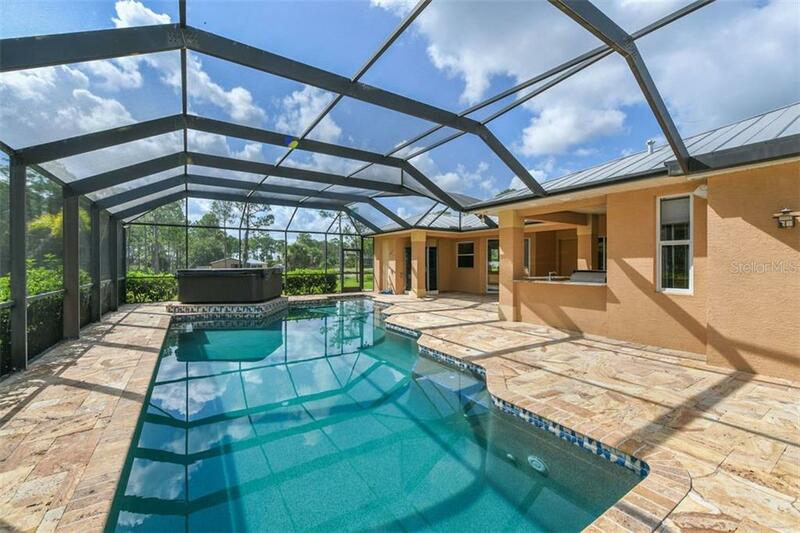 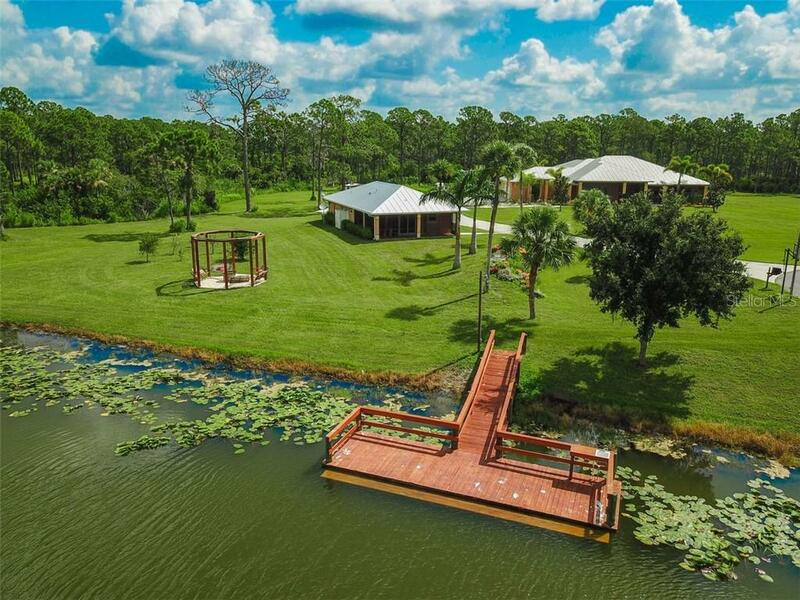 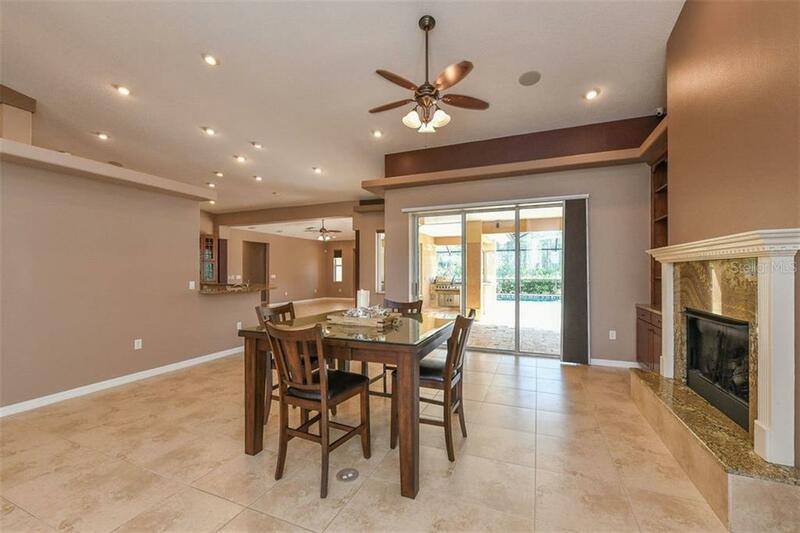 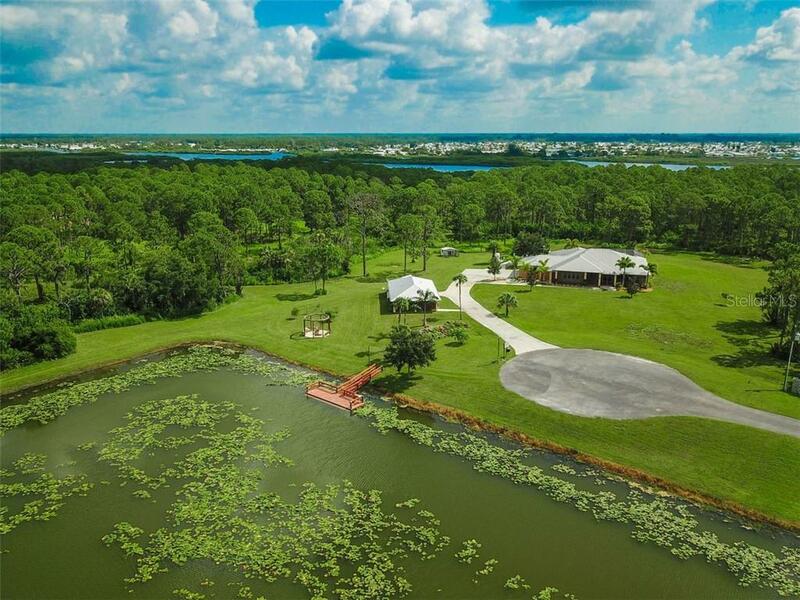 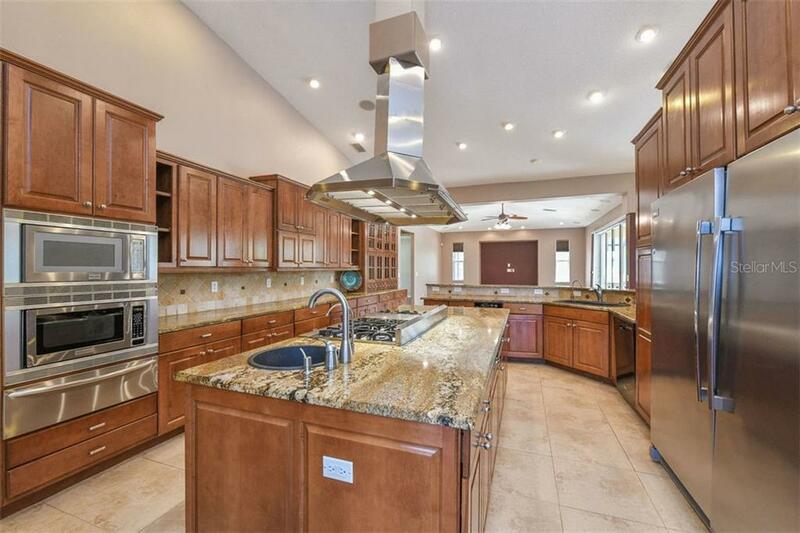 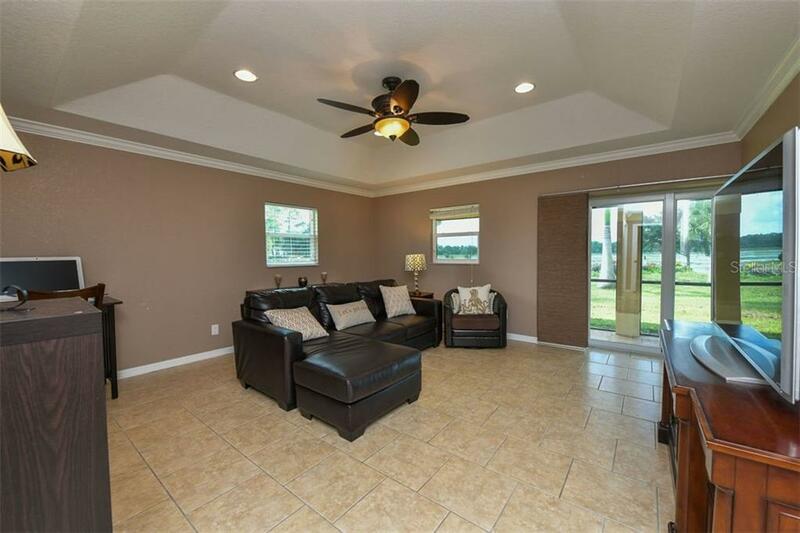 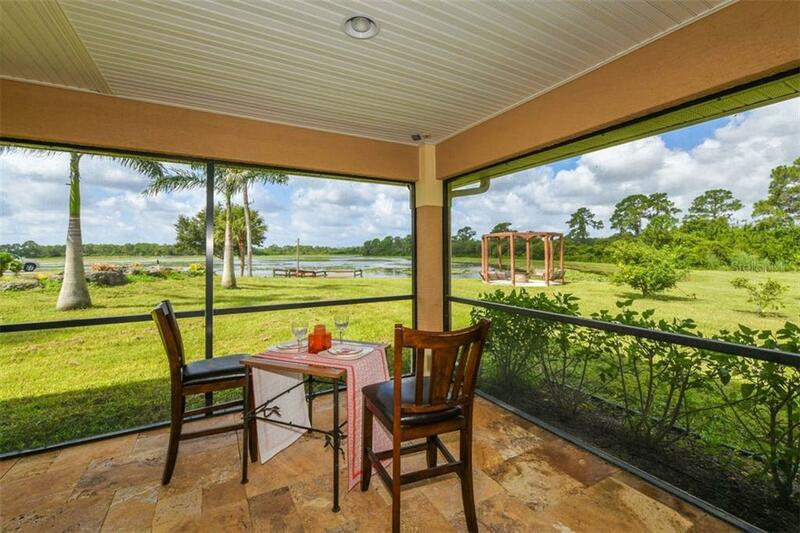 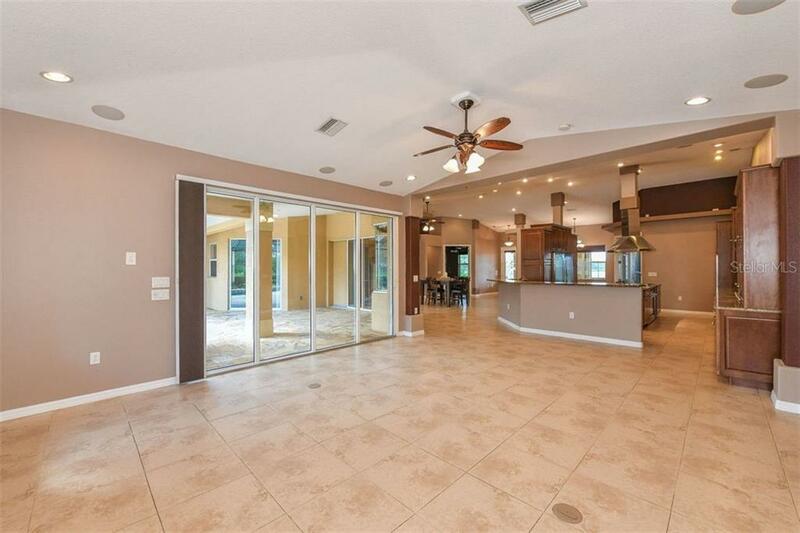 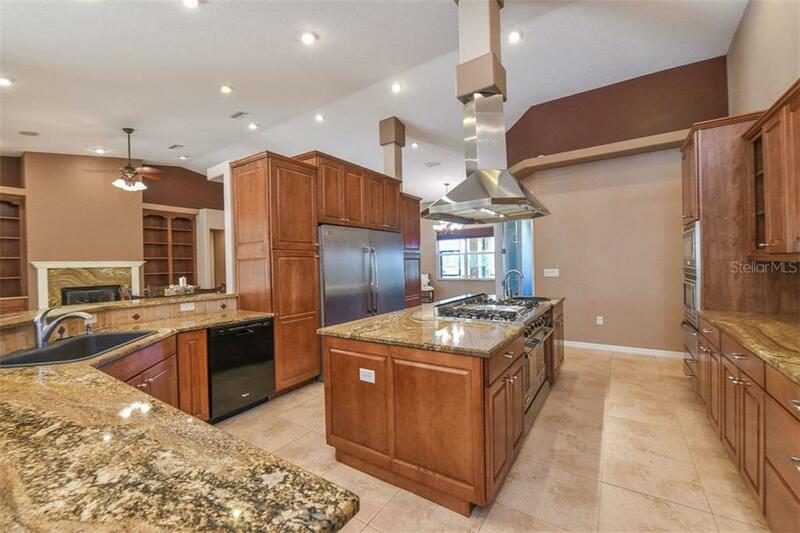 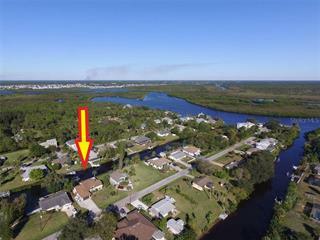 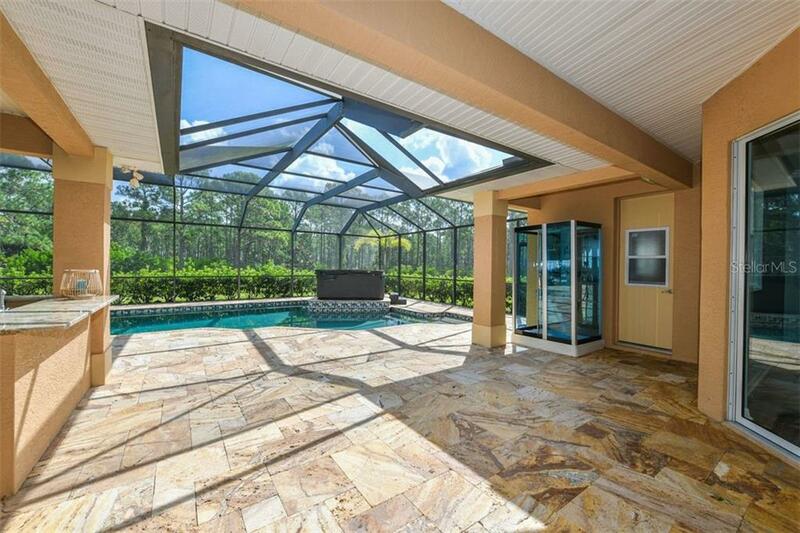 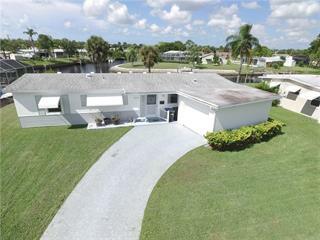 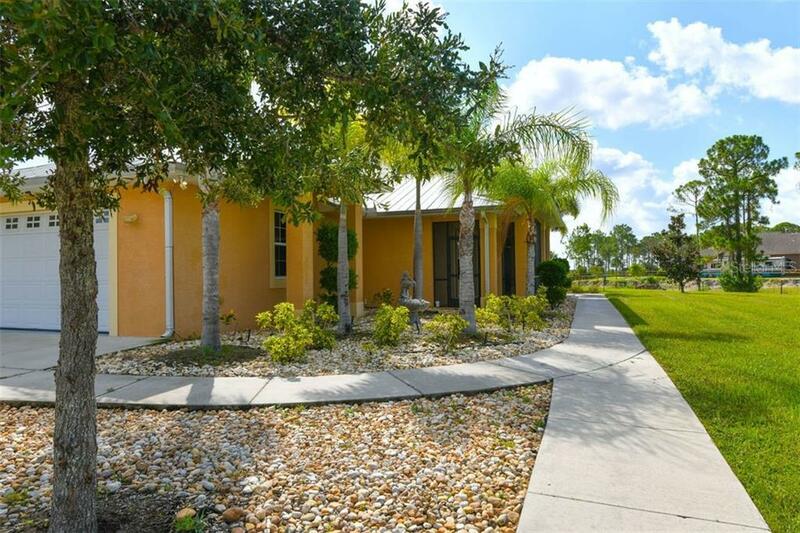 Privacy surrounds the property w/ bre... more.athtaking lake views from the front of the house while the tall pines of the Myakka State Forest provide views of nature from the rear. 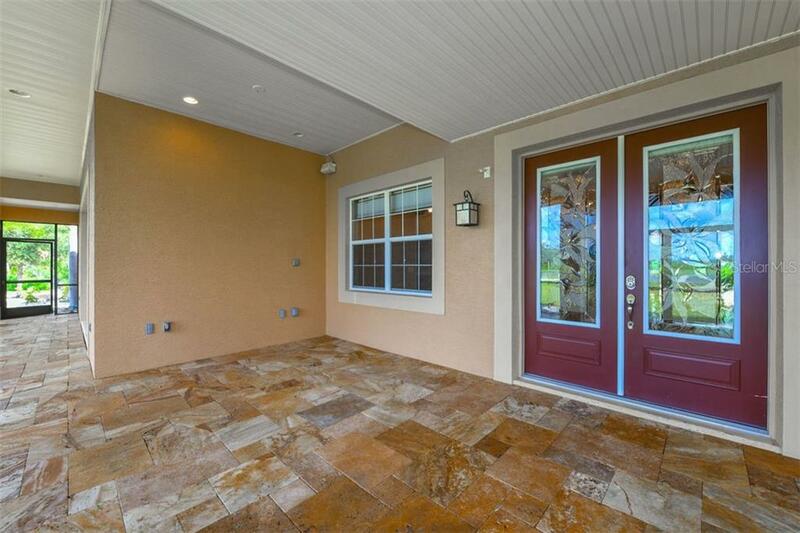 Enjoy the sights and sounds of nature from the entry which offers an oversized, covered and screened front patio w/ travertine tiles. 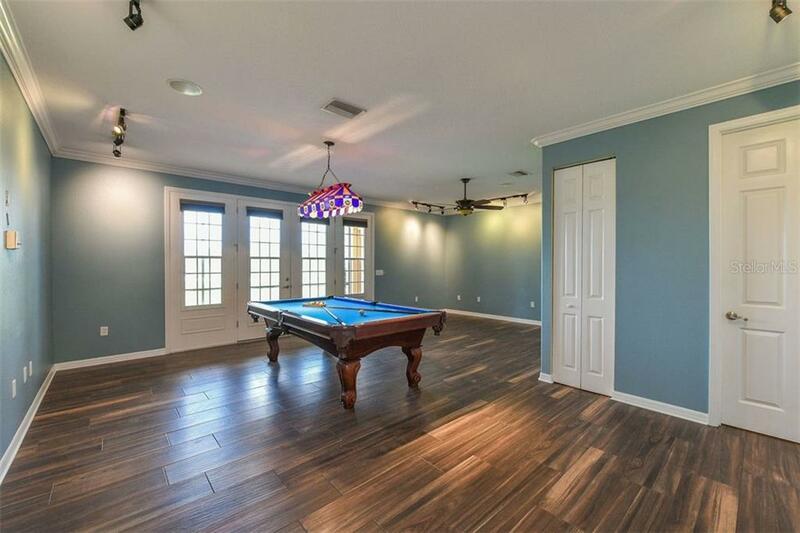 The 3989 sf main house features 3 bed + office, game room, formal dining, living and family rooms. 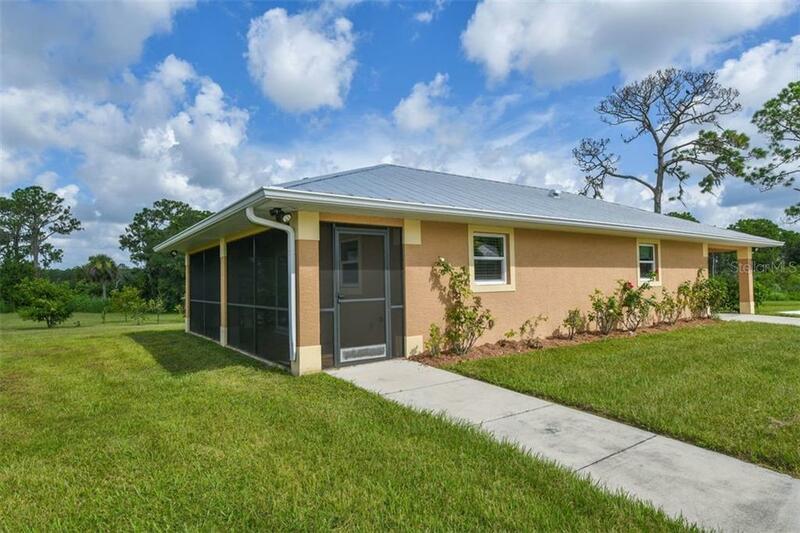 Quality construction, open floor plan, high ceilings, impact windows, metal roof, top-of-the-line all house RO water filtration system and solid generator is the foundation of the home. 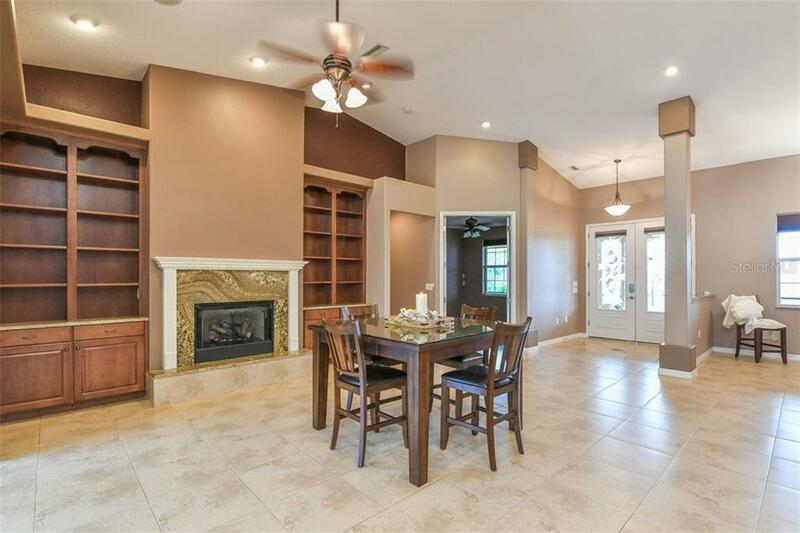 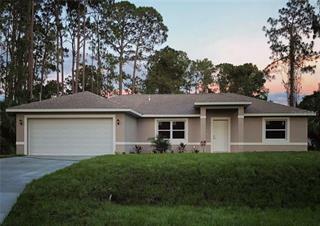 The jewels of the home include luxury finishes, fireplace, crown molding, granite and tile throughout. 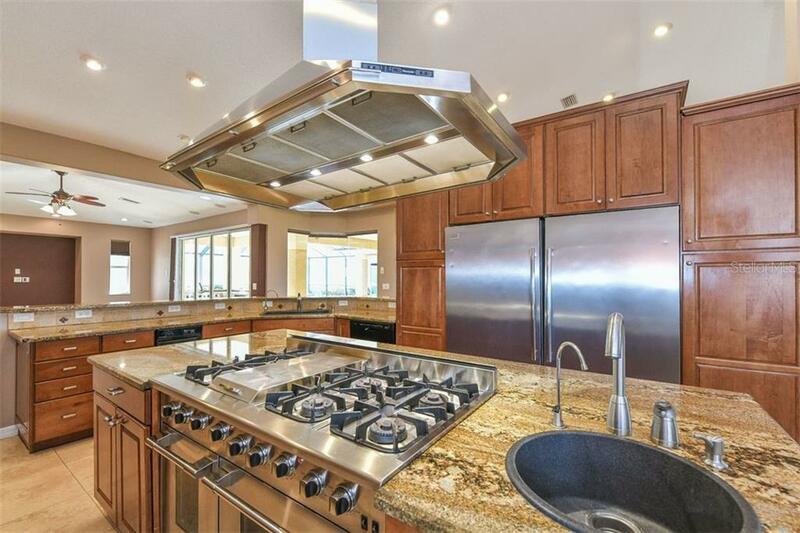 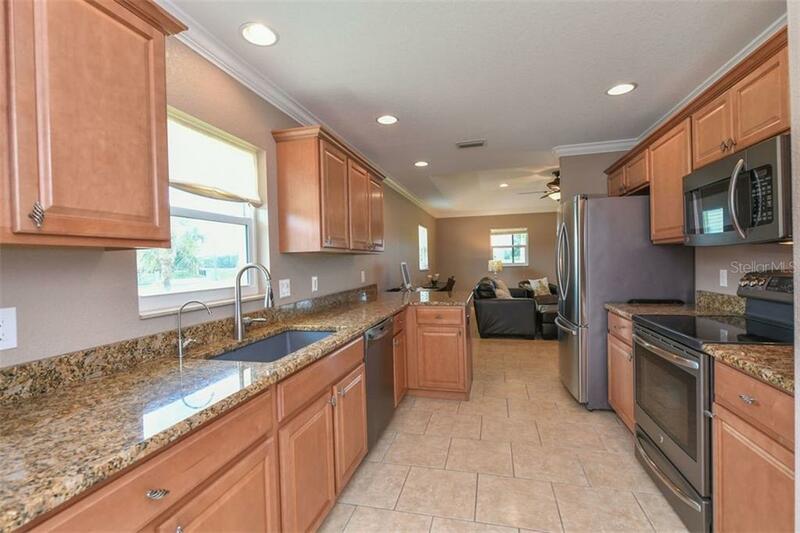 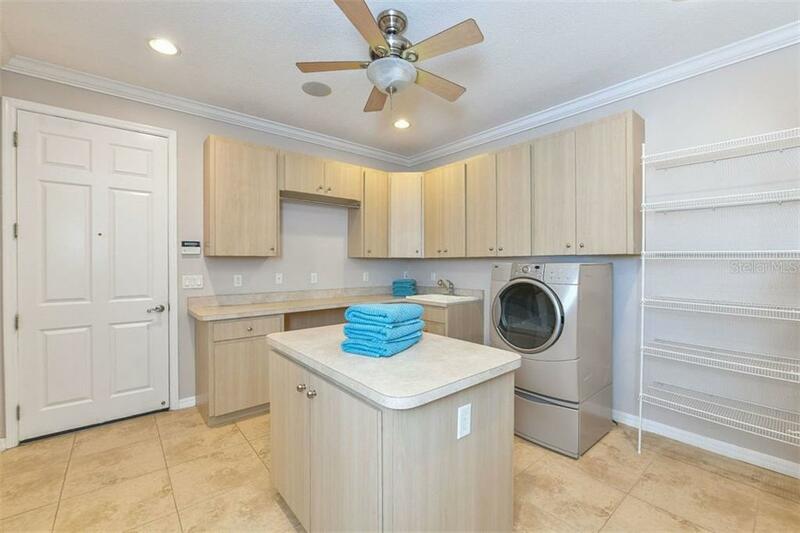 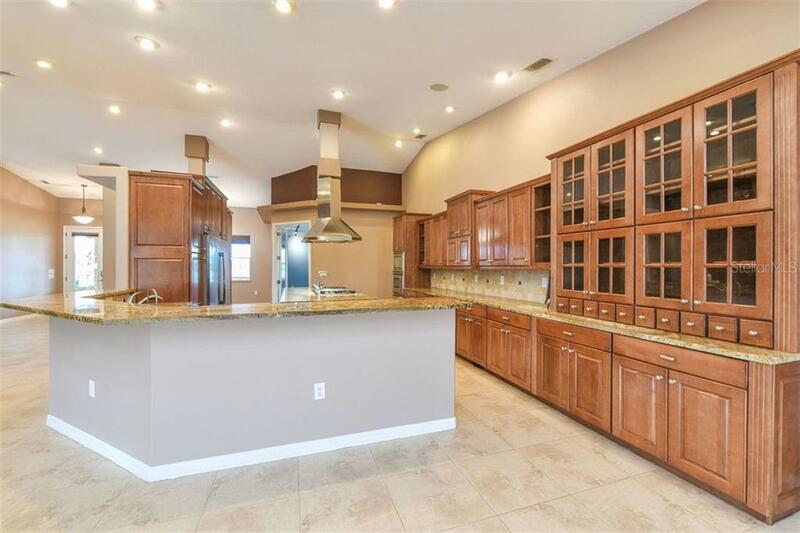 The oversized kitchen is the heart of the home featuring long granite countertops, solid wood cabinetry, double refrigerator and commercial gas range. 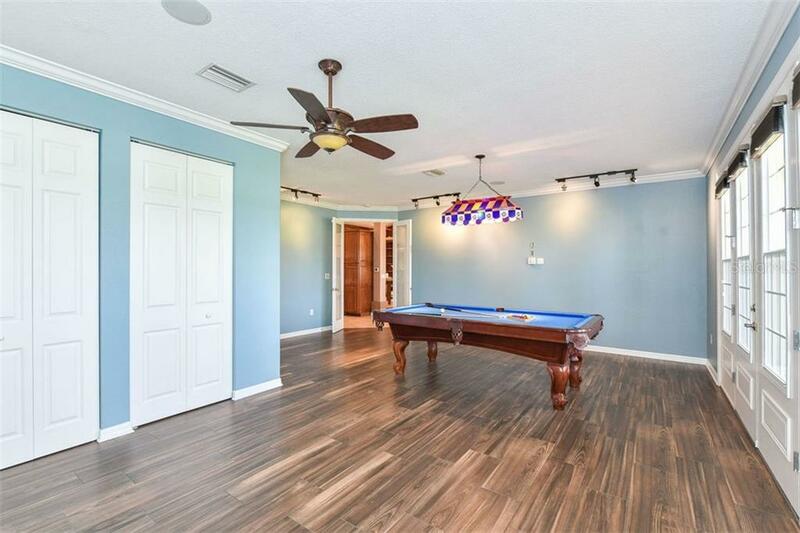 The master suite provides views of the pool and State Park, complete with dual closets, dual sinks, walk-through shower and spa like soaking tub. 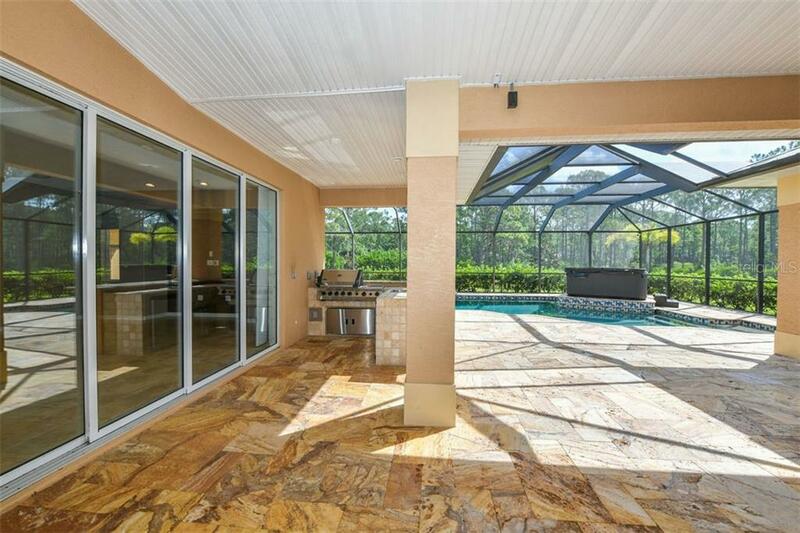 The salt water pool is inviting, along w/ a covered and screened lanai, travertine floors, outdoor kitchen, and pool shower. 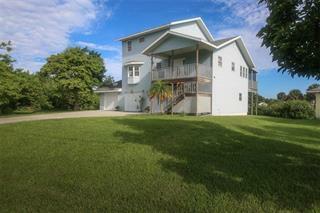 House and surrounding yard are built up. 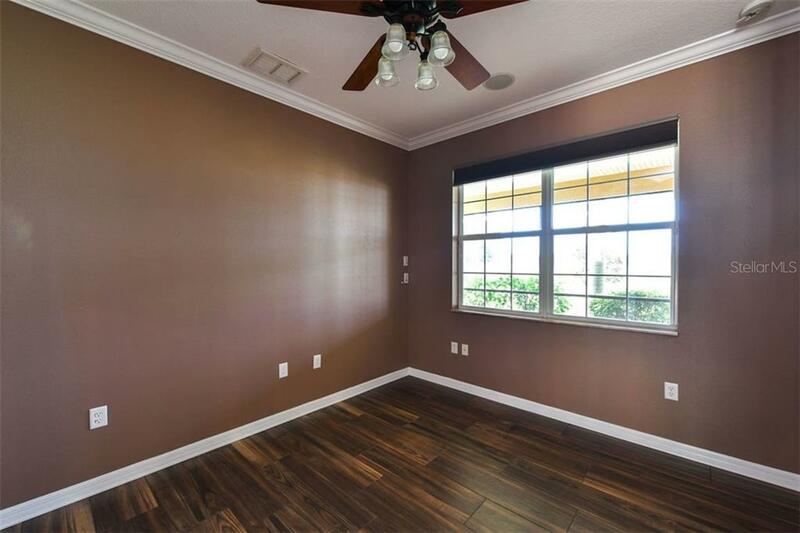 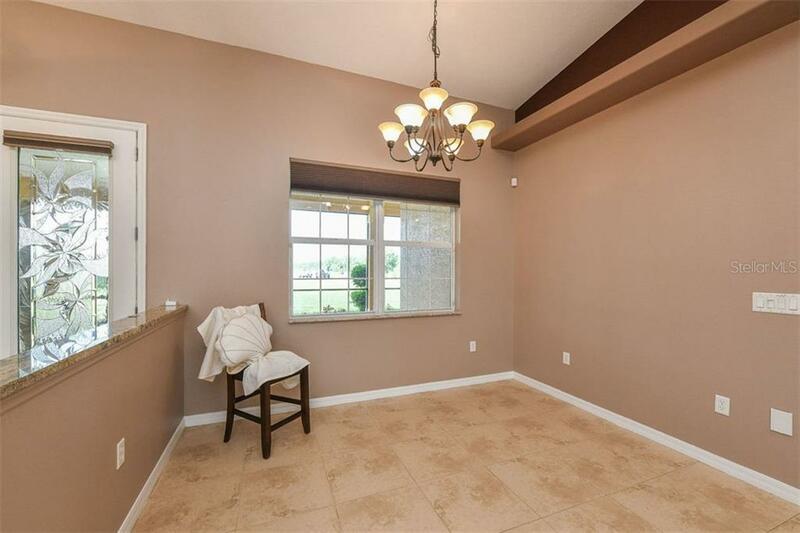 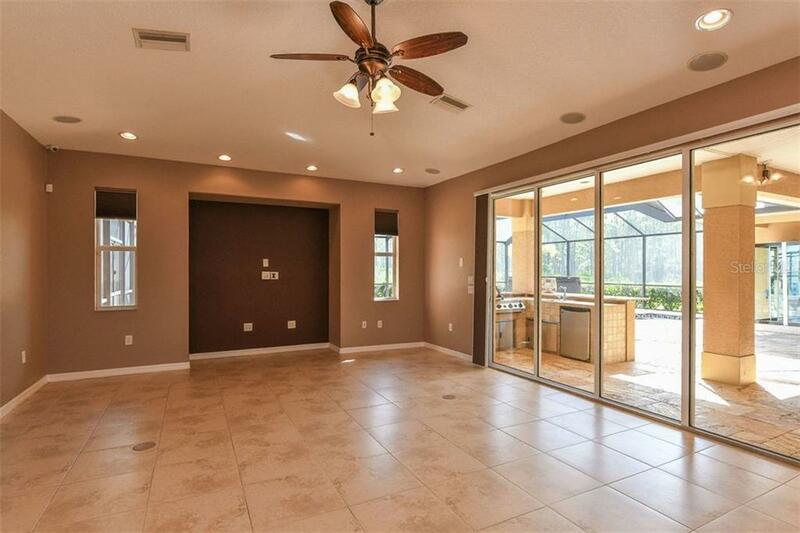 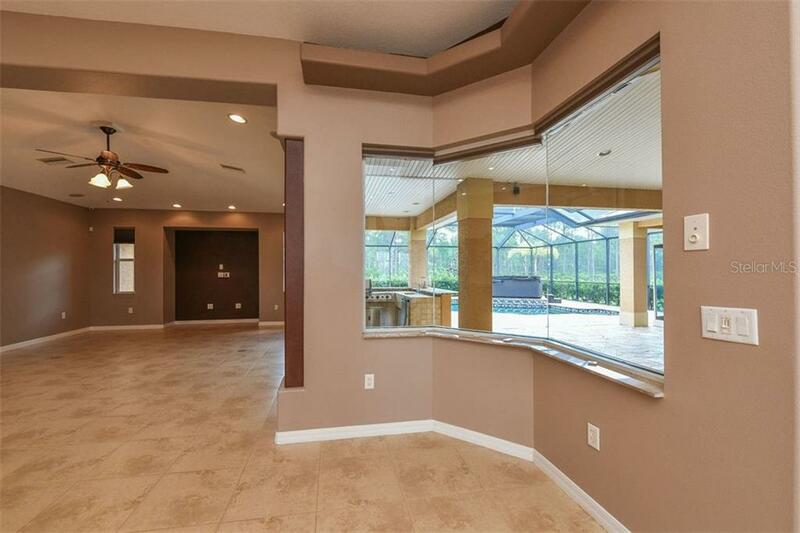 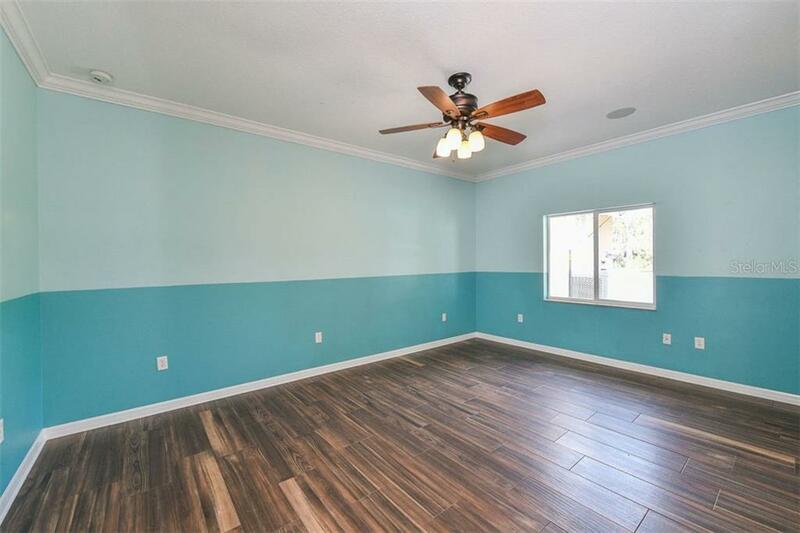 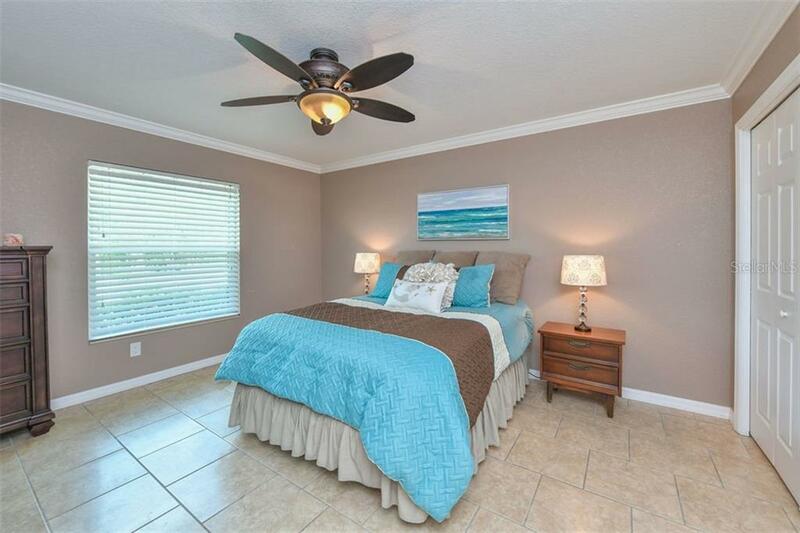 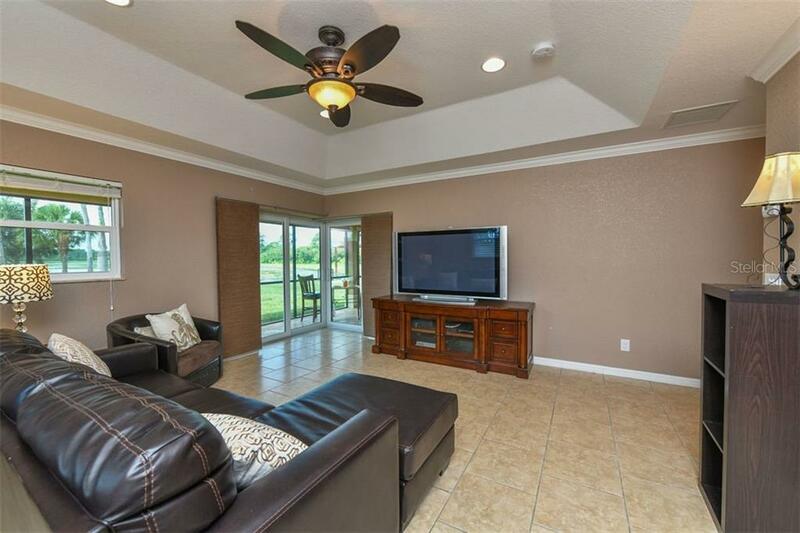 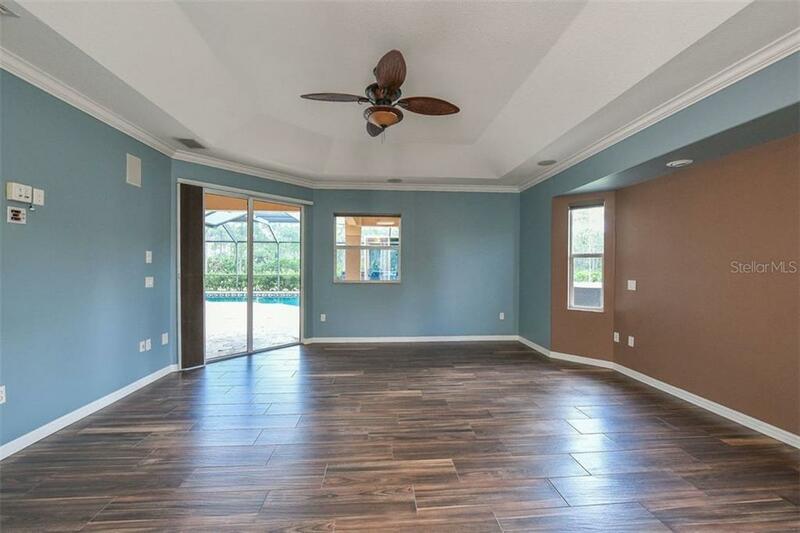 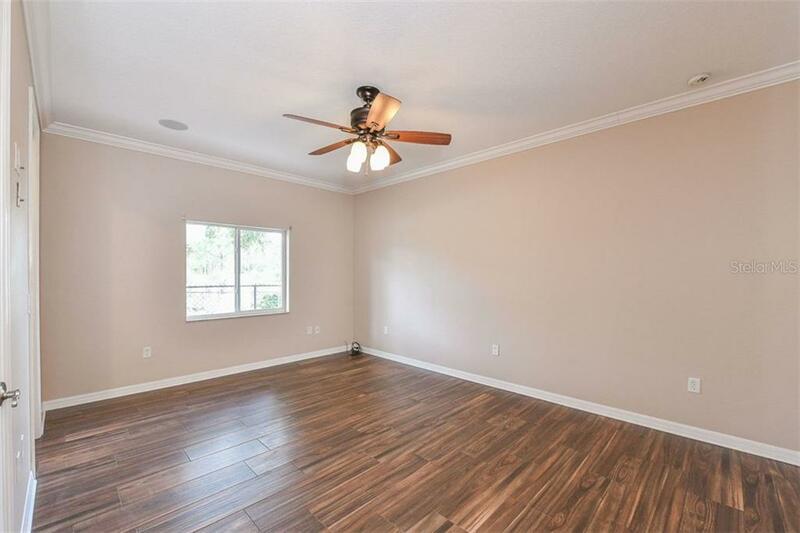 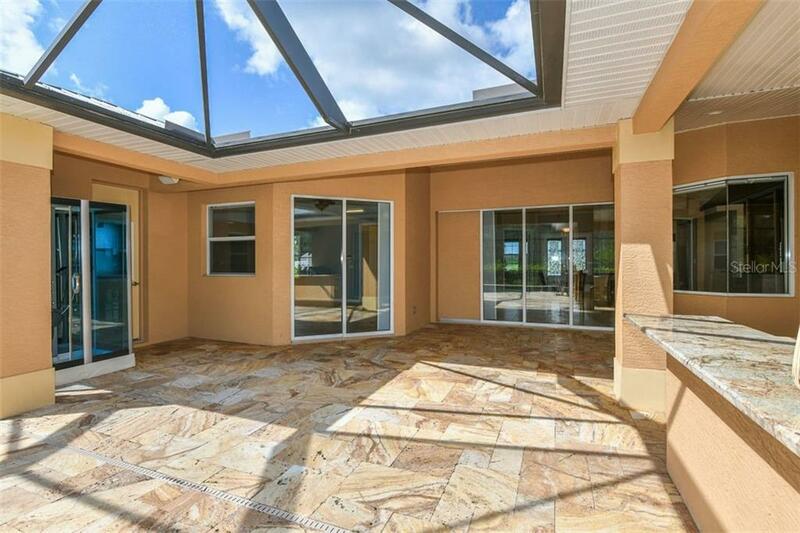 The 1 bedroom guest house presents w/ tile throughout, stainless steel, granite, generator, crown molding, storage, car port, and zero corner sliding glass doors that lead to the covered and screened lanai with travertine floors and gorgeous views of the lake and fire pit w/ 6 bench swings. 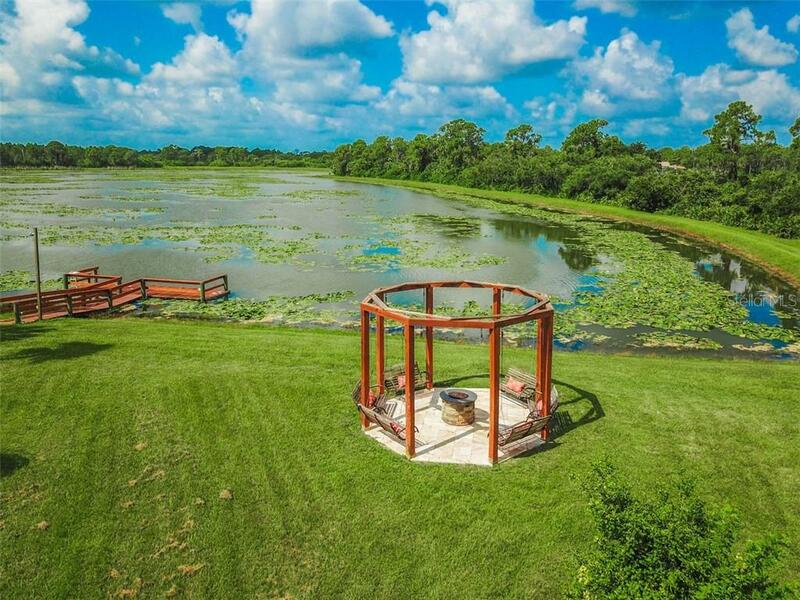 The 8,592 acre Myakka State Forest contains 40 miles of trail paths for equestrian, hiking and biking.